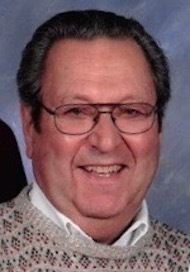 Carl E. Durrenberg, age 79 of Fairborn, formerly of Kettering, went home to be with the Lord on Monday January 21, 2019. He was born October 29, 1939 in Highland Park, MI, the son of the late Carl H. and Helen M. (Hetzner) Durrenberg. Carl served his country in the US Air Force and then began his career as a Volkswagen mechanic with Motor Imports in Dayton. He continued his career in Vehicle Maintenance as a mechanic with the City of Kettering, retiring in 1994. He was the Past President of PSU Local 101, AFSCME Ohio Council 8, AFL-CIO. Carl was a member of Bethlehem Lutheran Church in Fairborn where he served as chairman of the board of church property for many years and he served as a volunteer firefighter with the Kettering Fire Department in the mid 1970’s. He was an avid tractor enthusiast as well as a friend and mentor to many. In addition to his parents he was preceded in death by a sister, Marjorie Durrenberg. Survivors include his wife of 56 years, Louise (Watson) Durrenberg; six children, Richard (Judy) Durrenberg, Cheryl Qualters (Chris Williams), Susan (Raymond) Fosnot, Michael (Debbie) Durrenberg, Jon (Cathy) Durrenberg, Andrea (Paul) Egan; 12 grandchildren; 8 great-grandchildren; as well as other extended family and many dear friends. The family will receive friends on Sunday January 27, 2019 from 5:00 until 8:00 P.M. at the Belton-Stroup Funeral Home, 422 E. Dayton-Yellow Springs Rd., Fairborn. A celebration of life service will be held on Monday January 28, 2019 at 11:00 A.M. at the Bethlehem Lutheran Church, 1240 S. Maple Ave., Fairborn, Rev. Keith F. Witte officiating. The family will also receive friends from 10:00 A.M. until the time of service at the church. 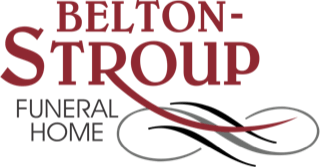 Burial with military honors will follow at the Byron Cemetery. In lieu of flowers, memorial contributions may be made to the National Kidney Foundation -or- Donate Life Ohio -or- Bethlehem Lutheran Church Building Fund.